We are recruiting for a Care Field Support Officer to ensure effective management for all clients focusing on quality and supporting the delivery of care to a high standard. You will need to have a flexible approach to ensure CAREGivers are providing the highest standards of care and at the same time be able to build and maintain trusting relationships with our clients through quality assurance visits and over the phone. You will have a full driving license, experience in the sector and a Level 3 NVQ in Care is desirable. In return you will have the opportunity to join our dedicated team, who are making a difference each and every day. You will receive an excellent reward package including a company Pension Scheme, opportunities for development and training, Health Scheme Benefits and Home Instead discounts. All appointments are subject to a satisfactory DBS check and references. If you feel that you have the right values and the passion to make a real difference to older people’s lives then please apply today. Join our Family at Home Instead! We are looking to employ a dedicated and experienced Care Coordinator to be responsible for the allocation of CAREGiver’s working hours, to ensure our quality standards are met. Experience as a Care Coordinator or Scheduler is essential. You will be expected to support the Lead Coordinator with monthly CAREGiver schedules and support the Care Team in order to provide the highest quality service to our clients. You will need to develop excellent relationships with both clients and CAREGivers to ensure all visits are allocated and consistency is maintained. You will need to have access to suitable transport, as travel is required within the role. The ideal applicant must be able to communicate effectively at all levels and demonstrate their ability in the use of IT and problem solving. Being able to work well under pressure and to agreed deadlines. In return you will have the opportunity to join our passionate team, who are making a difference each and every day. You will receive an excellent reward package including a company Pension Scheme, opportunities for development and training, Health Scheme Benefits and Home Instead discounts. Are you looking for a rewarding opportunity to fit around another job, studies or personal commitments? Do people tell you you’re caring, passionate and enthusiastic? If yes, this is an opportunity not to be missed. We are looking for people like you to join our family of CAREGivers to support clients in their own homes, in your local community. To work with us, previous experience is not required as we provide you with all the training you need which also involves building on skills you already have, to develop a fulfilling and rewarding career all while helping your clients to live independent lives. Having a valid driving license and access to your own transport is essential as the role involves travelling to clients houses and taking them out and about in the community. All applications are also subject to a successful Disclosure and Barring Service application. 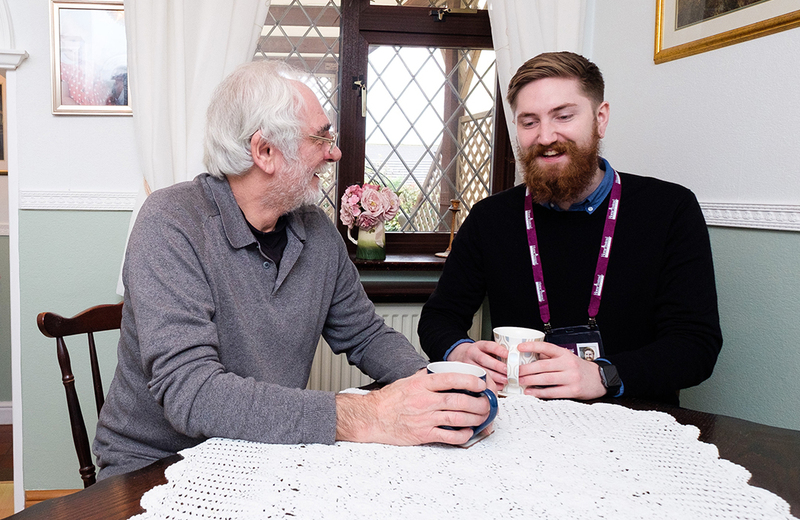 We are looking for people with kind, compassionate hearts who want to make a true difference to the quality of life for our clients to join our team in Telford as a CAREGiver. As a CAREGiver, you will provide a variety of non-medical services to help them keep independent in their own home. Have you ever picked up a prescription for a senior or taken them to a doctor&apos;s appointment? Have you ever helped an older adult around the house or with paying bills? Do you provide emotional support for an older adult? Or do you provide even more care? If you&apos;ve answered yes to any of these questions, then you are a CAREGiver. In the UK 3 out of 5 individuals will provide care for a senior loved one. In a nutshell, caregiving is anything you do that enhances the quality of life for seniors and helps keep them independent. To work with us, previous professional experience is not required as we provide you with all the training you need which also involves building on skills you already have, to develop a fulfilling and rewarding career all while helping your clients to live rich, independent lives. We have both part time and full-time positions available with shifts including early mornings, late evenings and alternate weekends. Caring for someone the Home Instead way means helping and supporting your client with their daily needs as you would for your loved ones. It means building on skills you already have in order to develop a fulfilling and rewarding career all while helping seniors to live rich, independent lives. 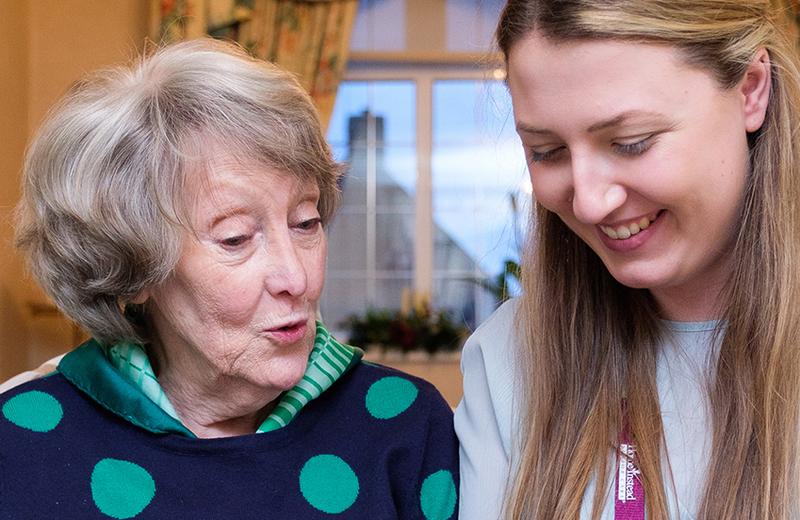 The work in which you do is vital for elderly people, as it ensures that they’re kept comfortable and safe in their own homes for as long as possible. We have both part time and full time positions available with shifts including early mornings, late evenings and alternate weekends. We are the only CQC rated ‘Outstanding’ company in the area and we work very differently to any other out there! We are completely committed to providing only the highest quality of care, ensuring you have regular clients that you see every week and always a minimum of an hour for every visit to build a relationship with them. We are looking for committed and caring people to help and support our clients with their daily needs as you would for your loved ones. Previous experience is not required to become a CAREGiver with us. We provide you with the training you need which also involves building on skills you already have, to develop a fulfilling and rewarding career all while helping your clients to live rich, independent lives.